Recently I was on a road trip with my wife on the North Coast of NSW. We like to just pack the ute with the basics and head off with a very loose plan. Sometimes only the direction is ascertained before departure. We love to do it this way because it makes the trip spontaneous. Much preferred to a rigid time schedule. We are always on the lookout for gourmet delights. On the way South towards home one afternoon we sheltered in the Mid North Coast town of Nambucca Heads. It was pouring rain. Neither of us had been there before so we didn’t know what to expect. We found a little gem of a spot. Not as remote or small as the usual places we look for but nevertheless based around a beautiful river that was crystal clear when we were there. I was cursing myself for not bringing a light rod. Big bream, whiting and blackfish cruising the weed beds as I peered into the water. As it got a bit later the hunger pangs started and we needed a spot to have dinner. We trawled through the usual last notice destinations like pubs and clubs when I noticed a place called Jaaning Tree. I read the reviews on Eatability and it was looking promising. We called up and booked. Once seated we noticed the menu was very different. It made use of Australian native herbs, fruits and protein. Dishes such as Kangaroo tail dumplings, Crocodile carpaccio and Lemon Mrtyle smoked Kangaroo had us salivating. What followed was a beautiful meal that stood out as something different. The chef and owner is called Clayton J Donovan. After looking him up on google we noticed he had a long affiliation with using these Australian ingredients. He had served his apprenticeship in some of Sydney’s fine dining establishments. Very nice bloke too. All this got me very keen to explore our native ingredients. We have so many that seem to be neglected for some reason. Is it because we are too set in our ways? We seem to always reach for the easy familiar ingredients. I believe we are depriving our palates of some beautiful flavour. Once I was home I decided to start changing things in my garden. What to buy first? Friends of our with a property near Kempsey NSW had an interesting native tree in their yard. It’s called a finger lime (Citrus australasica). I didn’t know Australia actually has native citrus plants. It actually has a few. 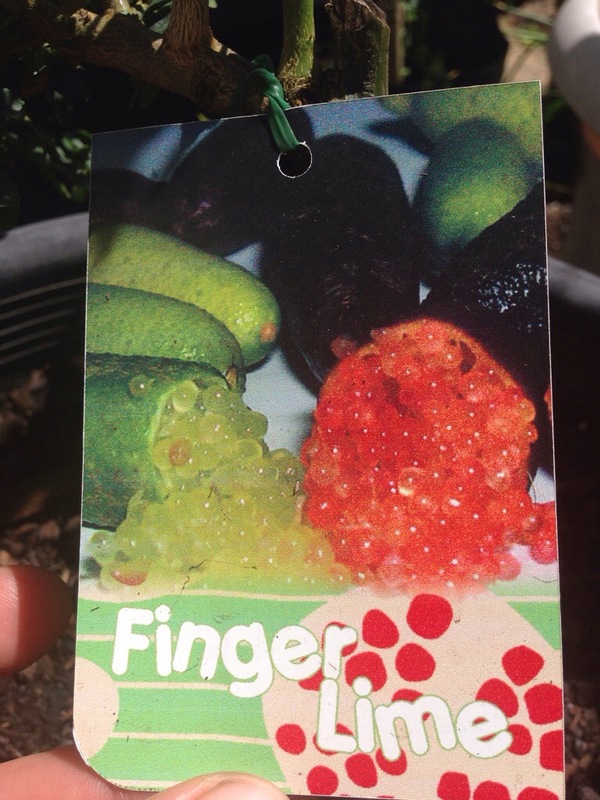 The most marketable type being the Finger Lime. This little gem grows a fruit about four to ten centimetres long. When cut and squeezed it expels caviar shaped citrus balls. These can apparently be used in cocktails, on fresh oysters, in jams and frankly many many applications. I found some grown from cuttings at a Native plant nursery. I bought one from there. They can take a while to fruit so it could be a few years before it produces. I also found one at another nursery. This one had been grafted onto quality rootstock so should produce fruit sooner. They come in many types and varying colours. A definite for the garden. 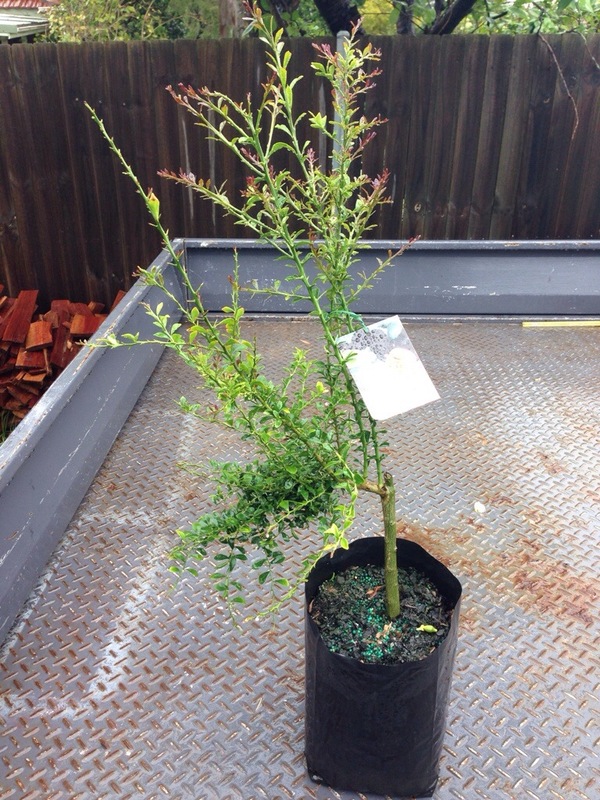 A mate in Warriewood NSW had a plant (well more of a tree) in his yard that he used to use on seafood. He used to sling me a bag of leaves when I’d drop him some venison. Subsequent use showed that it had a beautiful rich lemon taste that went well in cakes and with seafood. Its called the Lemon myrtle tree (Backhousia citriodora). It has a higher citral purity than Lemon Grass. It is used in cooking, confectionary and cosmetics. Koori’s used it as a healing plant as well. It has very high antibacterial properties. This one joined the garden. I was searching the local nurseries for any edible plants. It was about this time I found a nursery that had a corner dedicated to Australian edible plants. I was like a kid in a lolly shop. I picked up quite a few there. I had read about a plant that Captain Cooks crew ate when they landed on Australian shores. Its native to Australia and New Zealand, Japan, Chile and Argentina. 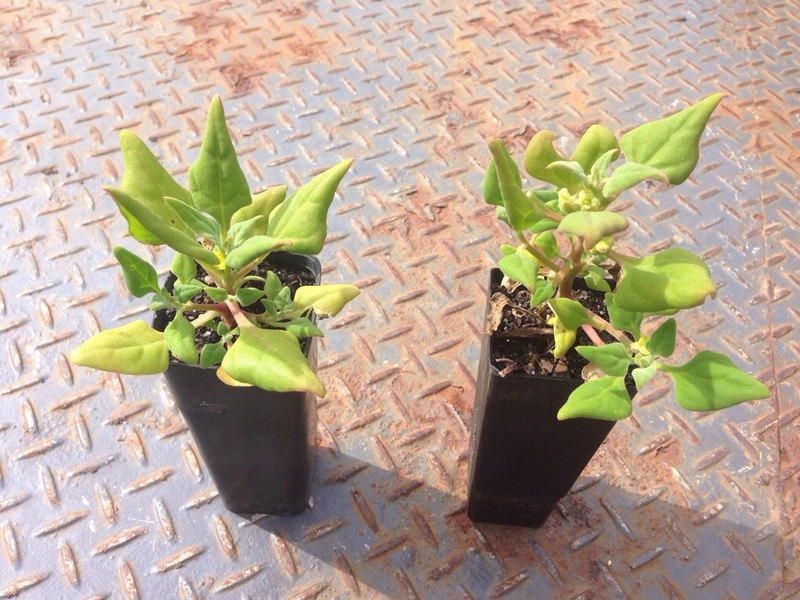 Here it is called Warrigal Greens (Tetragonia tetragonioides). In NZ they call it New Zealand Spinach. It is a green leafy ground dwelling plant that is high in vitamin c. It would have assisted in keeping the scurvy at bay for the ships crews. It can be used instead of spinach. Blanched with garlic and butter it comes up a treat. Its a plant they say that never disappears once planted. It’ll always pop back up somewhere. I love my spinach so this one came home from the nursery too. In part 2 of the article I continue with my new passion of finding edible native Australian plants. Very interesting article. 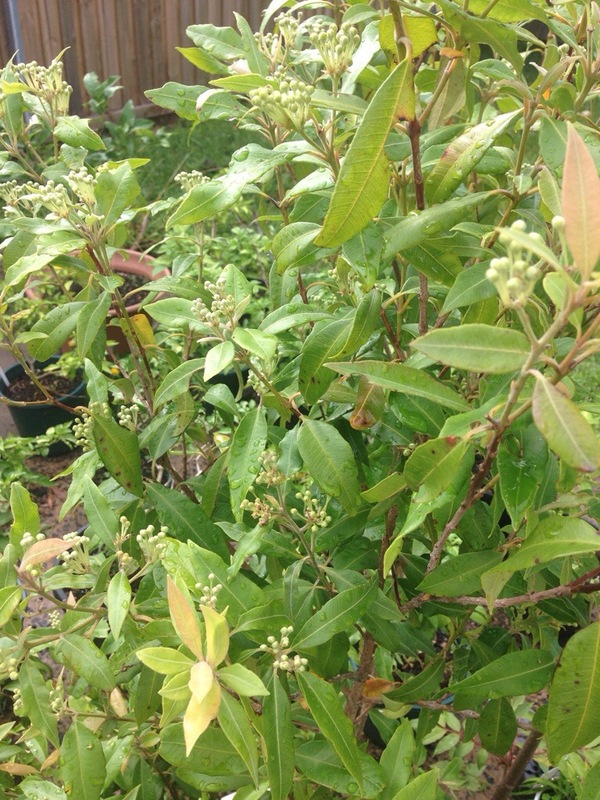 Do you have any information or links on how to prepare lemon myrtle? Also any idea how to propagate it? I have a huge tree here (north Qld) and I would like to have a go at growing some more of them. I have only used the leaves cooking roast lamb and turkey. Thanks . It can be propagated in the usual way. I’ve read it takes quite some time for them to strike though. As for preparation I have used fresh leaves on fish before. Drying the leaves and chopping finely is another you could use them. Just like the packet herbs. 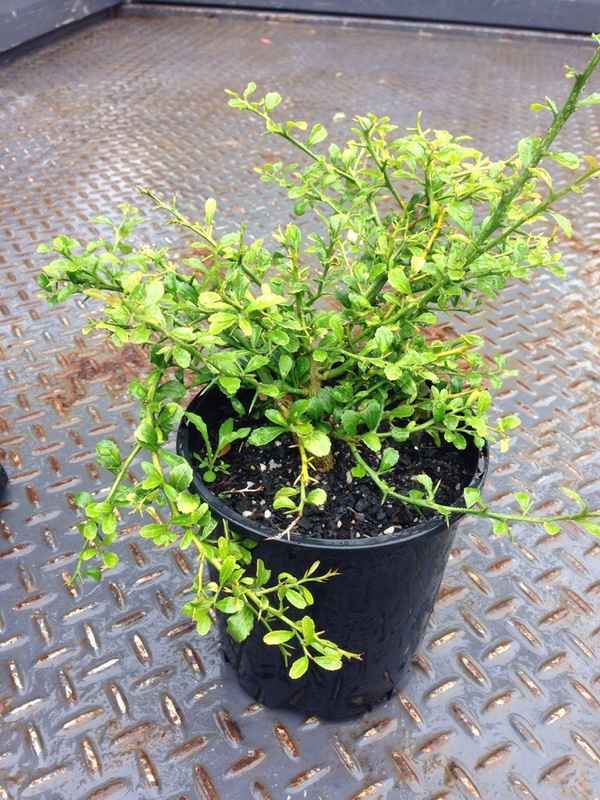 This entry was posted on December 11, 2013 by gourmetandy in Growing and gathering and tagged australia, Australian, bush, bush tucker, citrus, Clayton, Donovan, finger, gourmet, herb, hunters, Jaaning, lemon, lime, myrtle, native, nursery, rasberry, tree, tucker.